Belhaven Lake RV Resort offers seasonal RV camping in the Pine Barrens near Atlantic City, NJ, Batso and Wharton State Forest. Relax and unwind or participate in planned campground activities to pass the time. Canoeing, hiking, fishing, nature trails and an outdoor swimming pool are just a few of the activities you might enjoy at Belhaven Resort & Campground. 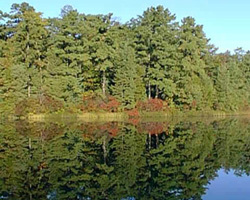 Belhaven Lake Resort, nestled in the Pine Barrens of New Jersey, offers the best way to experience nature’s beauty just a short distance away. Whether your idea of the perfect get-a-way is taking it easy or participating in our planned activities, Belhaven offers something for everyone. Whether you prefer relaxing on a canoe or fishing on the lake, spending time on our wooded, spacious campsites or playing games in our game room – there’s something for every member of your family to enjoy.